Join Greg Dial Jr. at the 2015 RCS Sports High School Basketball Season Opener held at the M.O. Campbell Center November 16th 2015. We utilize our radio station (Spring Branch Sports Line) and are the only independent ... See More Sports Network devoted to the Spring Branch Athletes & Community. We cover Volleyball, Football, Cross Country, Boys/Girls Basketball, Boys/Girls Soccer, Track & Field & Swim Meets to showcase our excellent athletic programs & student athletes all for free to our listeners and supporters. Visit yourbranchnews.com for 24/7 dedicated coverage to the Spring Branch Athletic Community. Your Branch News.com is committed to becoming a major independent media outlet to showcase athletic achievement and events in the Spring Branch Community in Houston, Texas, ... See More particularly those from Spring Woods, Memorial, Stratford, Northbrook Senior High Schools. The DFW East/West Classic was established in 2011 and has had three fantastic years of action. It is our goal to continue that tradition in the Houston area with the South Texas Bowl and help take it to a whole new ... See More level! The East will be coached by Atascocita's Craig Stump and his state quarterfinals coaching staff. Coach Stump led the 2015 Eagles to the most successful in school history. Visit yourbranchnews.com for 24/7 dedicated coverage to the Spring Branch Athletic Community. Your Branch News.com is committed to becoming a major independent media outlet to showcase athletic achievement and events in the Spring Branch Community in Houston, Texas, particularly those from Spring Woods, Memorial, Stratford, Northbrook ... See More Senior High Schools. Visit yourbranchnews.com for 24/7 dedicated coverage to the Spring Branch Athletic Community. Your Branch News.com is committed to becoming a major independent media outlet to showcase athletic achievement and ... See More events in the Spring Branch Community in Houston, Texas, particularly those from Spring Woods, Memorial, Stratford, Northbrook Senior High Schools. Visit ... See More yourbranchnews.com for 24/7 dedicated coverage to the Spring Branch Athletic Community. Your Branch News.com is committed to becoming a major independent media outlet to showcase athletic achievement and events in the Spring Branch Community in Houston, Texas, particularly those from Spring Woods, Memorial, Stratford, Northbrook Senior High Schools. We utilize our radio station (Spring Branch Sports Line) and are the only independent Sports Network devoted to the Spring Branch Athletes & Community. We cover Volleyball, Football, Cross ... See More Country, Boys/Girls Basketball, Boys/Girls Soccer, Track & Field & Swim Meets to showcase our excellent athletic programs & student athletes all for free to our listeners and supporters. Catch Memorial Varsity Athletic games and more! Join the Spring Branch Sports Line Today! Visit yourbranchnews.com for 24/7 dedicated coverage to the Spring Branch Athletic Community. Your Branch News.com is committed to becoming a major independent media outlet to showcase athletic achievement and events in the Spring Branch ... See More Community in Houston, Texas, particularly those from Spring Woods, Memorial, Stratford, Northbrook Senior High Schools. Catch Northbrook Varsity Athletic games and more! Join the Spring Branch Sports Line Today! Your host Greg Dial Jr, bringing you coverage of the Spring Branch Athletic Community and updates. Visit yourbranchnews.com for 24/7 dedicated coverage to the Spring Branch Athletic Community. Your Branch News.com is committed to becoming a major independent media outlet to showcase athletic achievement and events in the Spring ... See More Branch Community in Houston, Texas, particularly those from Spring Woods, Memorial, Stratford, Northbrook Senior High Schools. Catch Spring Woods Varsity Athletic games and more! 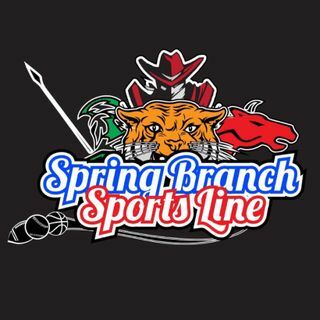 Join the Spring Branch Sports Line Today! Catch Stratford Varsity Athletic games and more! Join the Spring Branch Sports Line Today! Join Spring Branch's own Jesse "Stro" Castro for his take on the sports world. Listen as he brings his take and analysis on the Houston Texans, Houston Rockets, Houston Astros, and everyone in between. We utilize our radio station (Spring Branch Sports Line) and are the only independent Sports Network devoted to the ... See More Spring Branch Athletes & Community. We cover Volleyball, Football, Cross Country, Boys/Girls Basketball, Boys/Girls Soccer, Track & Field & Swim Meets to showcase our excellent athletic programs & student athletes all for free to our listeners and supporters.